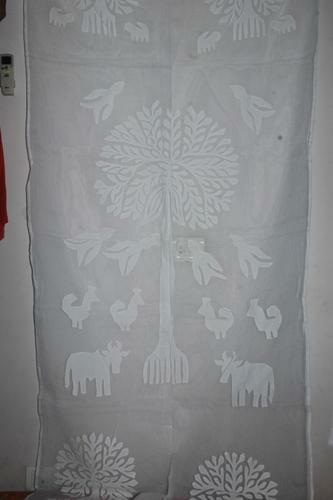 Here we present you Traditonal Vintage Handmade Applique Cutwork pattern bedspread or traditionally rajasthani cutwork or patch work design used in big villas banglow and five star hotels its also call the geomaterical design made by two laymers and but by hand through man hand tools and stitched by niddles by womens in the village of rajasthan give you elegants looks and luxyious feeling. 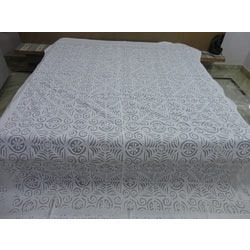 We are engaged in offering wide range of Appliqué Bed Cover. 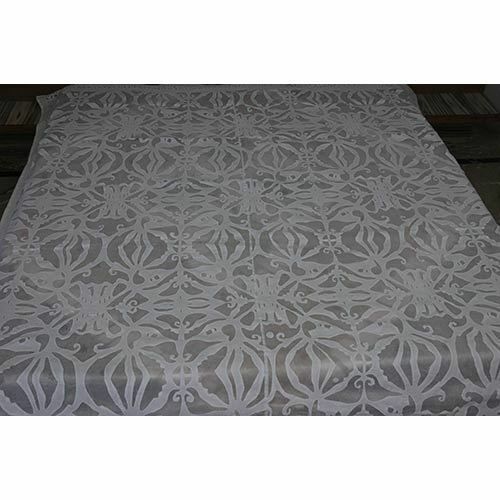 We fabricate the offered appliqué bed covers by utilizing highly updated stitching techniques. 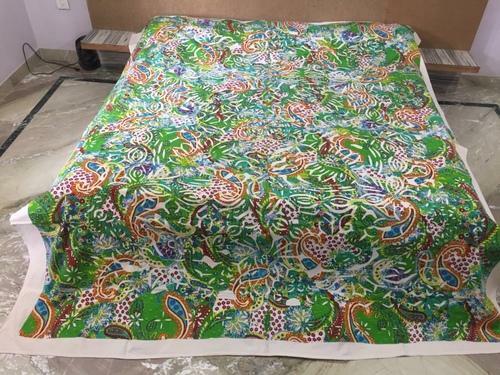 This unique appliqué bed covers are widely known among customers for its ever-lasting colors and shrink resistance. 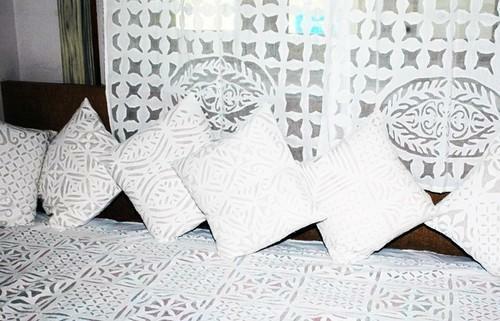 Furthermore, these appliqué bed covers are made accessible in a different patterns, styles, and shades. 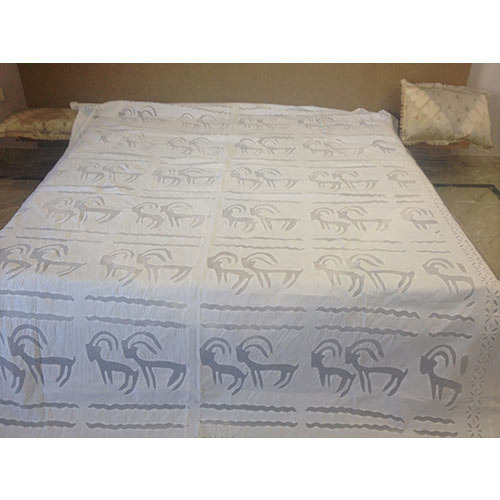 We offer these appliqué bed covers in numerous sizes at pocket friendly rates. 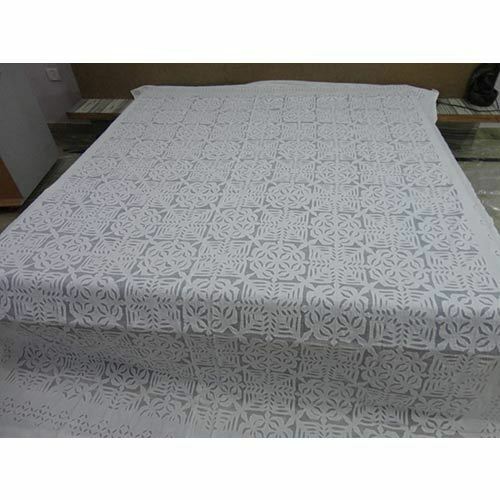 Owing to vast industry experience and in-depth domain expertise, we have emerged as the dominant manufacturer, exporter and supplier of a wide assortment of Applique Work Bed cover. 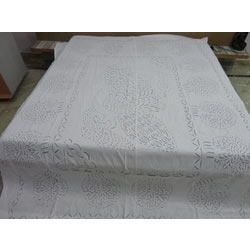 Our highly qualified professionals make use of excellent grade fabrics to design and craft these bed cover. This hand made range is in compliance with set industry standard. Also, we conduct multi-level inspections on these bed cover to ensure their flawlessness. 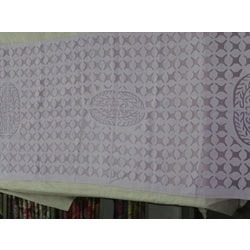 This eye-catching gamut comes in different colors, patterns, design, etc. Our offered range is widely reckoned by clients and is available at market leading prices. 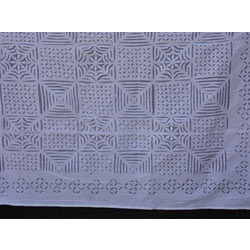 cutwork applique presents the traditional design in new geometrical & floral pattern with light and dark effects in both upper and lower fabric. finest quality fabric with excellence of weave & texture used with stonewash and natural color combination. 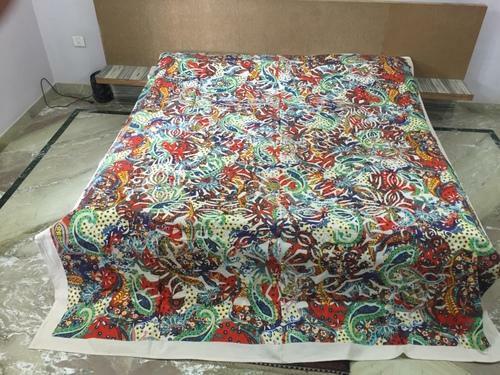 We are the leading supplier manufacturer, wholesaler and Exporter of all type of Textile items like home furnishing, garments items, textiles, Block print fabric items. 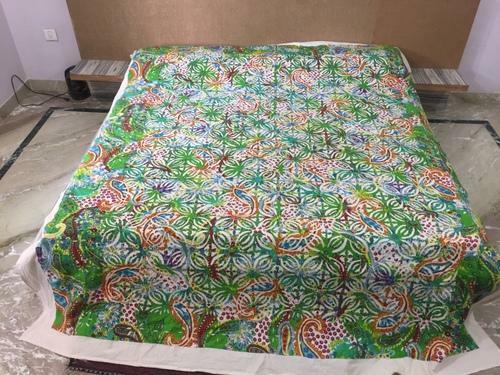 Dhanlaxmi Handicrafts, is a sole proprietorship organization, incorporated in as a Manufacturer, Supplier and Exporter of a comprehensive range of Bed Covers, Printed Bed Sheets, Kantha Quilts, Kantha Bed Covers, Jackets and many more. These products are precisely designed and developed by our creative team of professionals by keeping in consideration the specific requirements of clients. To ensure the delivery of quality tested range in the market, our company has implemented total quality management principles in its business activities. 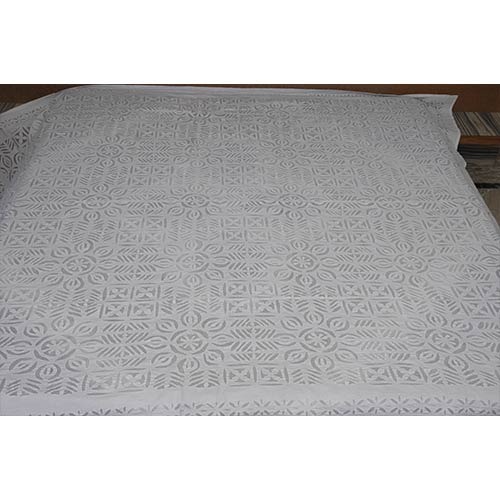 We are an eminent manufacturer, exporter, wholesaler and supplier of supreme quality Designer Appliqué Cut Work Bed Spreads. 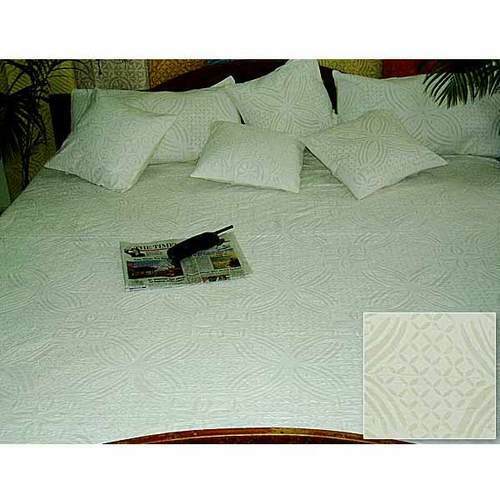 This bed spread is made by utilizing advance techniques under the direction of experts who use best quality material. 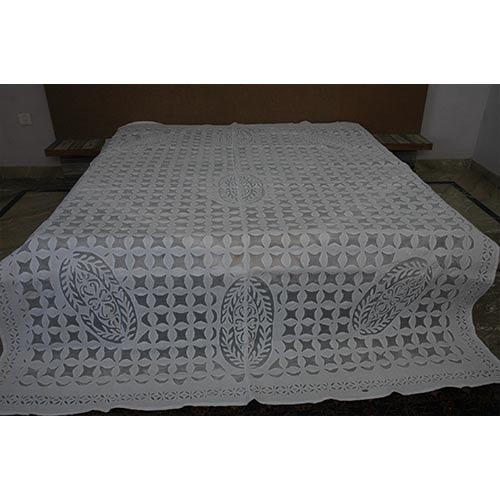 In addition, we check this bed spread against various terms of quality guaranty its quality. 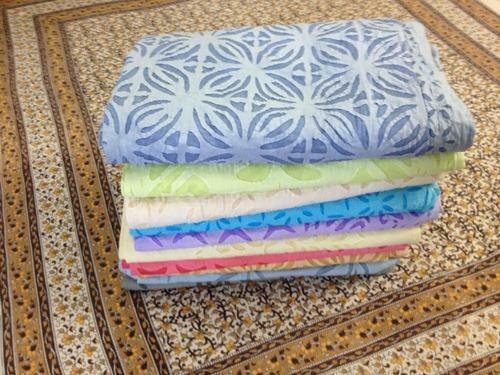 Customers can purchase in different sizes at affordable rates within the given time. 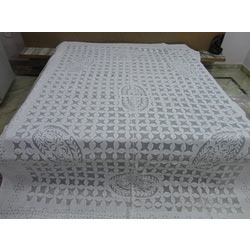 Moreover, our given bed spread is mostly demanded in market. 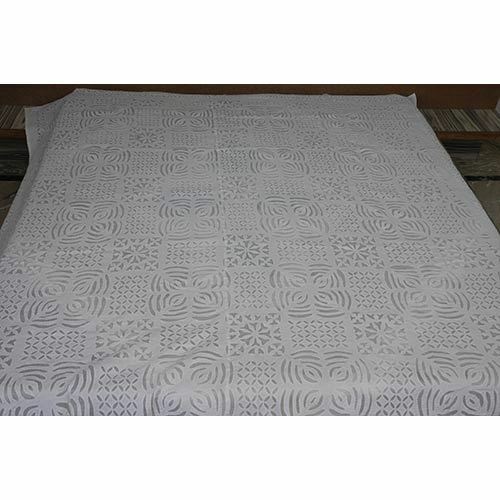 We offer a high grade range of designer applique bed covers. 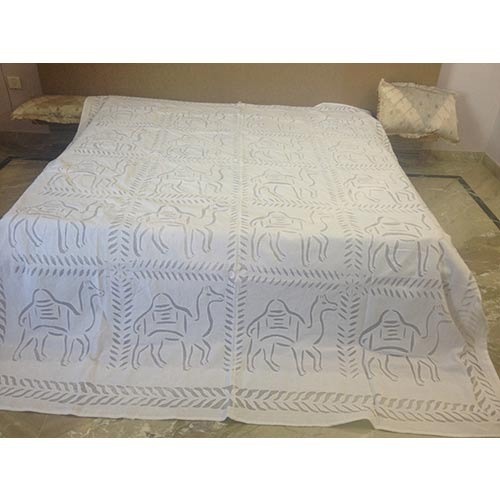 These designer applique bed cover are offered in variety of designs, shapes, sizes and colours. 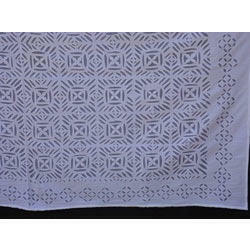 Here we present you traditional vintage handmade applique cutwork pattern bedspread or traditionally rajasthani cutwork or patch work design used in big villas banglow and five star hotels its also call the geometrical design made by two laymers and but by hand through man hand tools and stitched by niddles by womens in the village of rajasthan give you elegant looks and luxurious feeling. 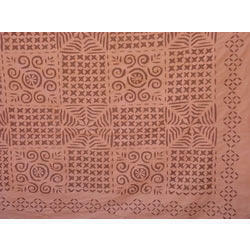 Here we present you Traditonal vintage Handmade Applique cutwork pattern bedspread or traditionally rajasthan. 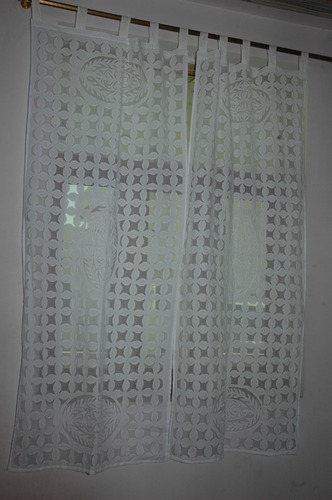 cutwork or patch work design used in big villas banglow and five star hotels its also call the geomaterical design made by two layer and but hand throught man hand tools and stitched by niddles by womans in the village of rajasthan give you elegants looks and luxyious feeling. 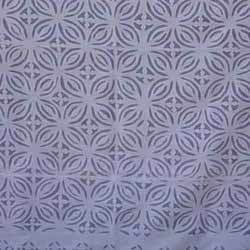 Backed by our rich industrial understanding in this domain, we are devotedly engaged in offering of Appliqué Bedcover Bedspread Duvet cover. The offered beds spread duvet cover is high on quality & widely demanded in the market. During fabrication, we use only quality assured fabric and modernize machinery in order to maintain its predefined norms. Our quality specialist checks the complete range of beds spread duvet cover on a various provisions of quality so as to maintain its quality and longevity. 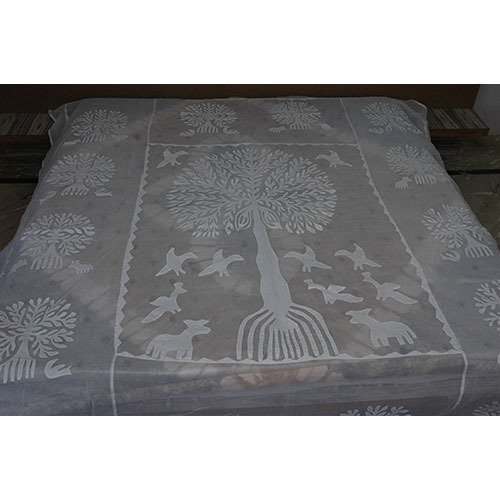 We offer a high grade range of Designer Applique Bed Covers. 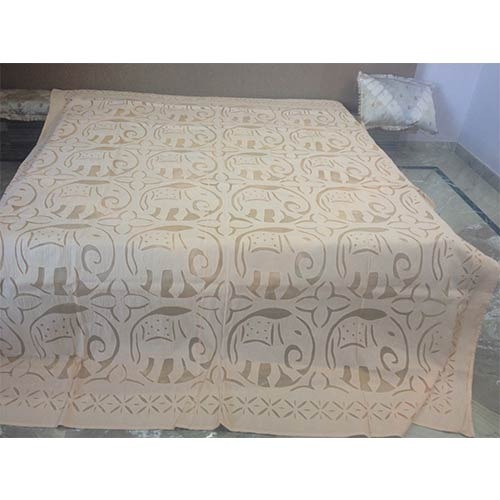 These Designer Applique bed cover are offered in variety of designs, shapes, sizes and colors. 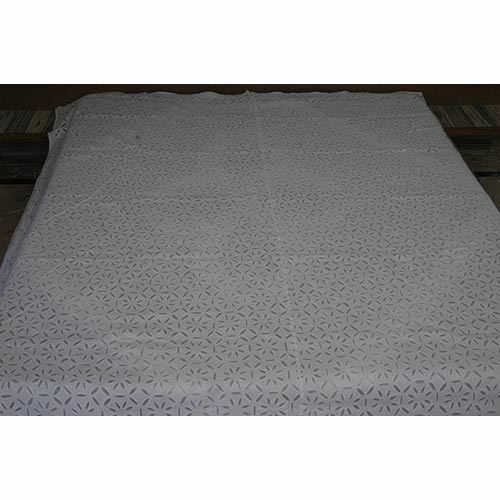 Leveraging on huge experience, we are affianced in offering a wide assortment of Cut Work Bed Spreads. 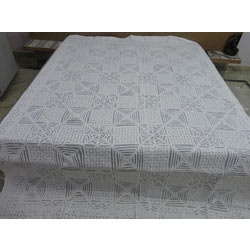 The offered range of bed spreads are fabricated by using optimum quality fabric and leading techniques for to maintaining its compliance with universally set norms. 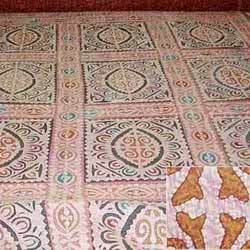 Along with that, our honored customers can obtain this bed spreads in numerous stipulations as per their ever-evolving requirements. These bed spreads are perfectly checked by our quality specialist for flawless supply. 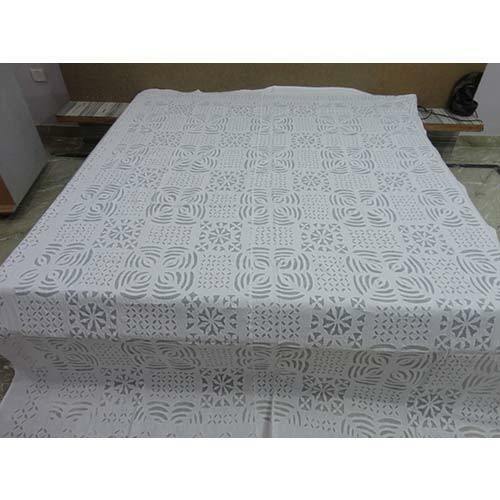 We are foremost manufacturer, exporter, wholesaler and supplier of supreme grade of Appliqué Cut Work Bed Spreads. 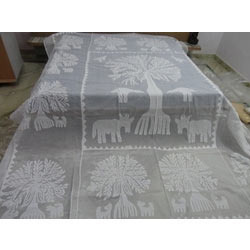 By utilizing best grade of fabric and modern machinery, our hardworking workers fabricate this qualitative bed spreads as per prevailing latest trends. 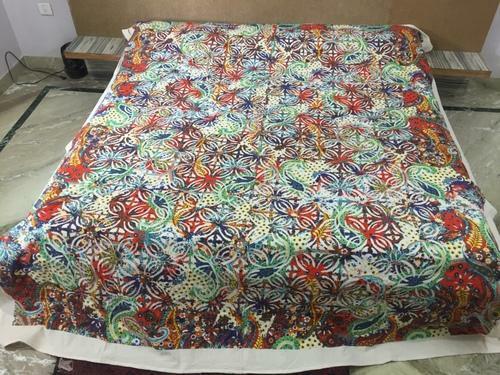 In addition to this, our offered bed spreads range is broadly demanded in the market for featuring several attributes like long lasting colors & easy to wash. Customers can take these bed spreads from us at market leading rates. 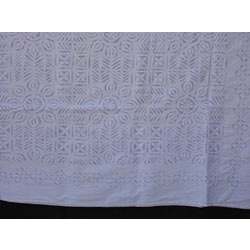 Applique Cutwork Bedcover Bedspread Duvet cover Curtain Throw/Quilt. 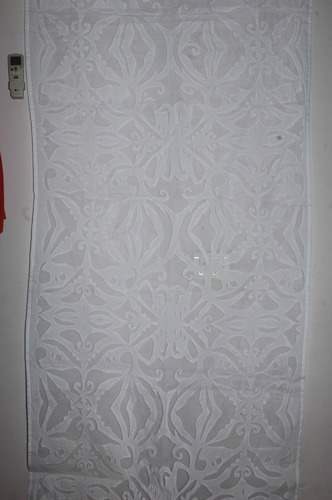 Looking for “Applique Cutwork Bedsheet”?